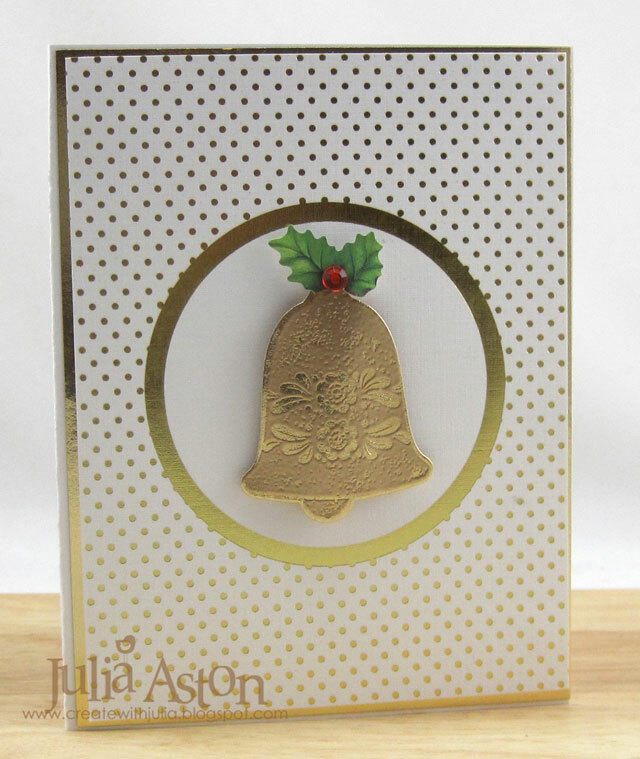 Another Christmas card for the box! 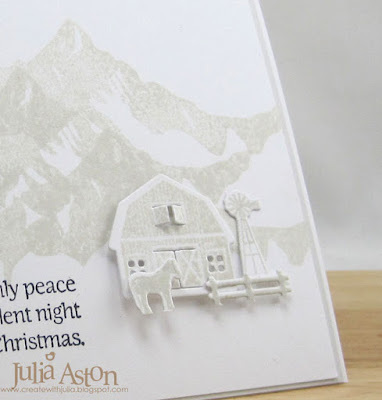 I die cut the stable and Holy Family out of Birch Bark Wrapping paper that I bought last Christmas season at Pier 1 Imports (LOVE THIS PAPER!!). 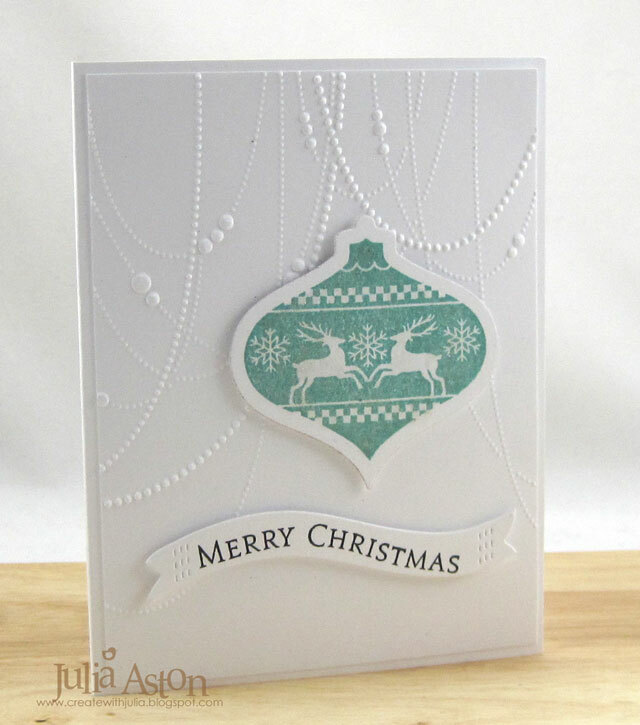 I embossed the images in black and layered them onto a cream Bazzill card base using foam dots. 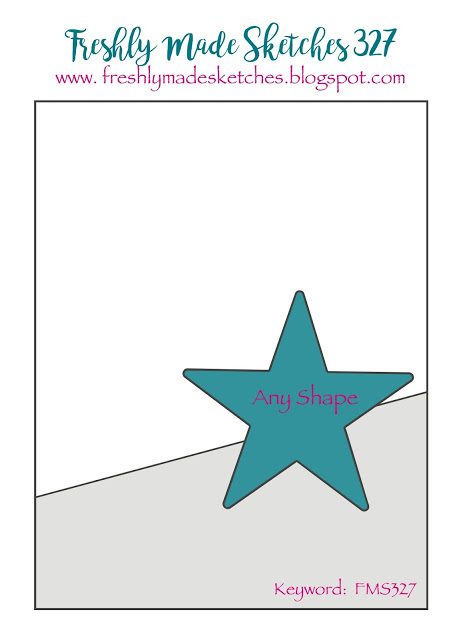 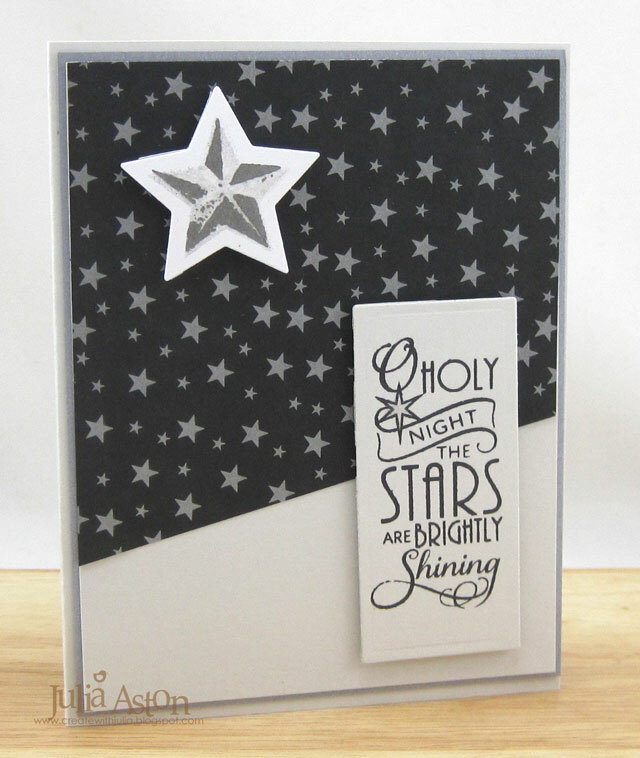 I die cut the big star our of gold paper and added 3 little wooden stars. 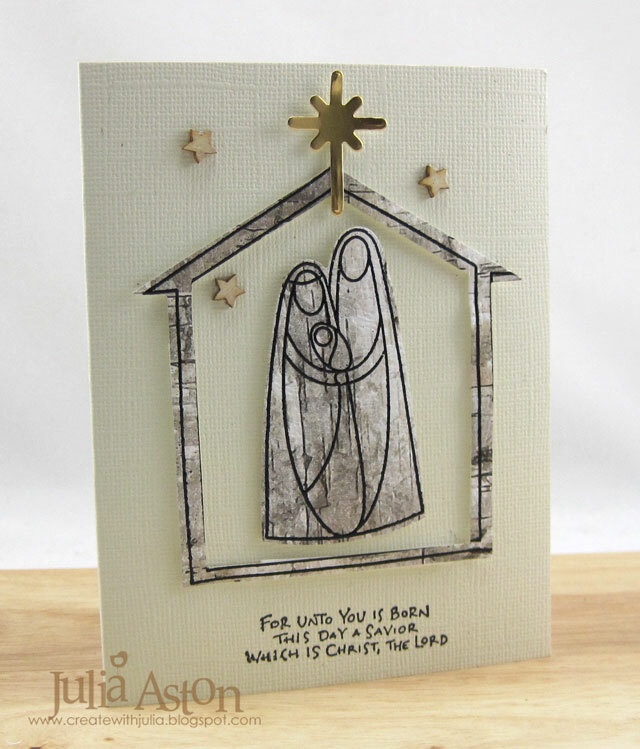 The Nativity stamps and Holy Couple, barn and star dies are from Simon Says Stamp. 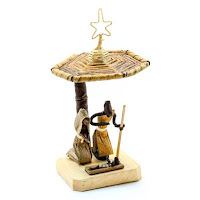 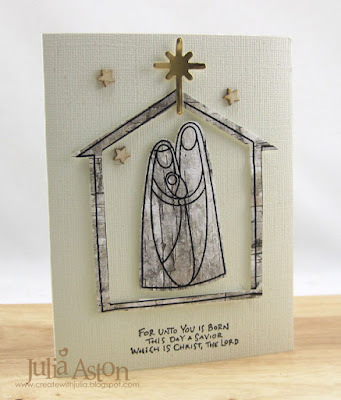 and I made it rustic for the Inspiration Challenge over at Splitcoaststampers where we were to be inspired by the Vineyard Market web site - I was inspired by this Nativity. Accessories: Wow Black Embossing Powder, Holy Couple and Barn Dies - Simon Says Stamp, wood veneer stars - The Paper Studio/Hobby Lobby, foam dots, Tombow Glue. 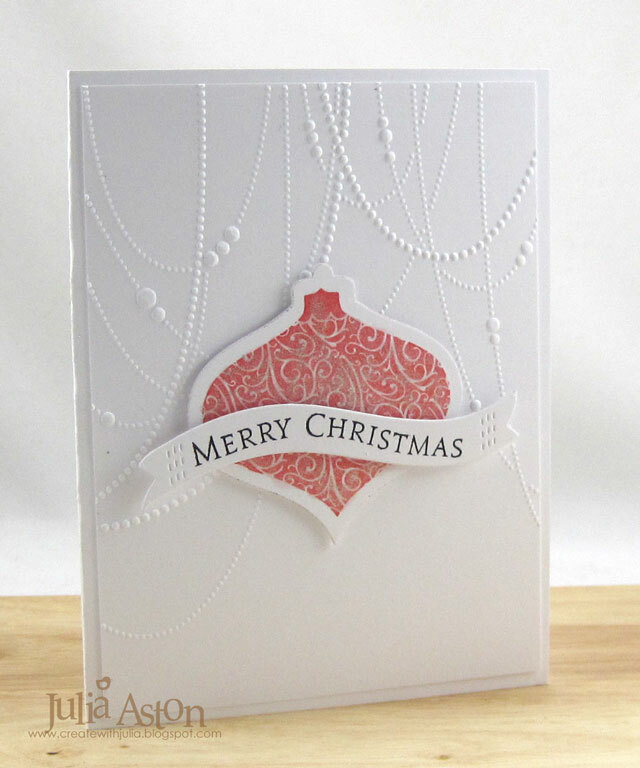 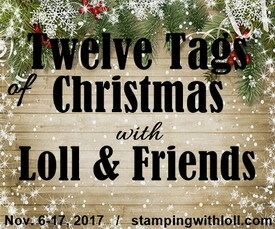 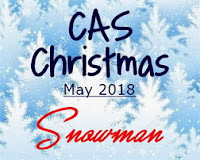 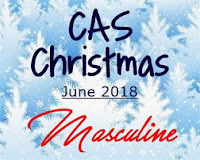 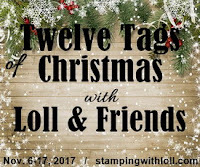 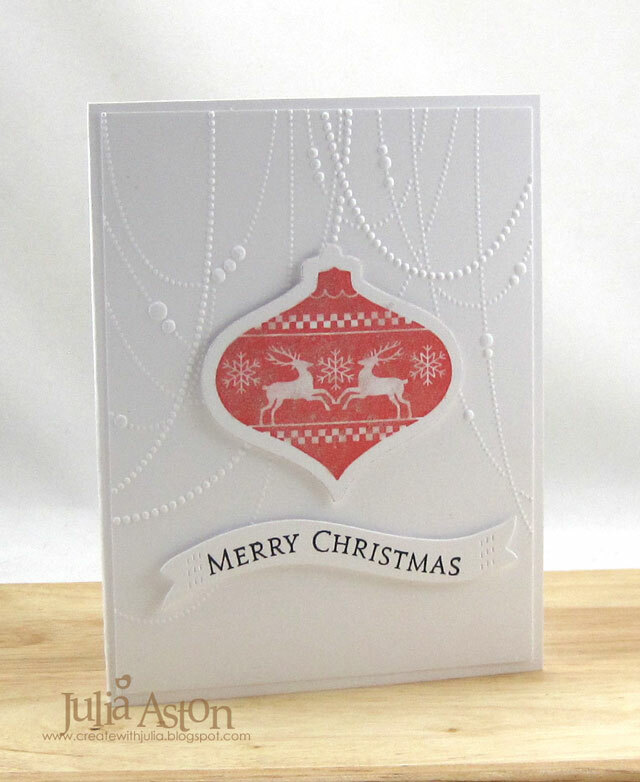 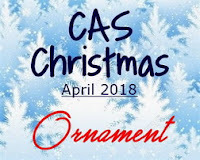 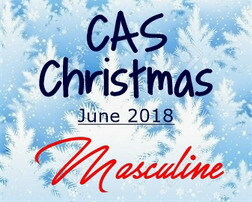 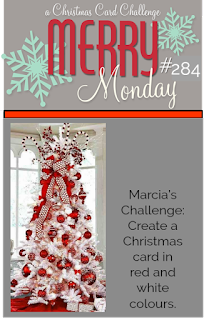 I've got 4 more Christmas cards to share today - I used ornaments for one challenge and ribbons for another challenge that you will find linked to below. 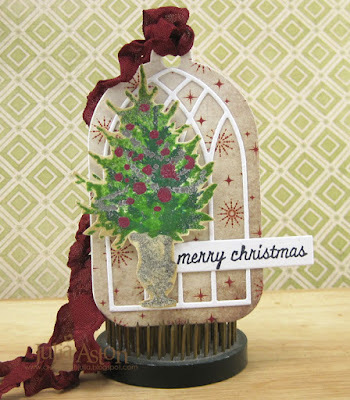 I used Distress Ink dyed crinkle ribbons on each ornament and chose my colors based on the ribbon. 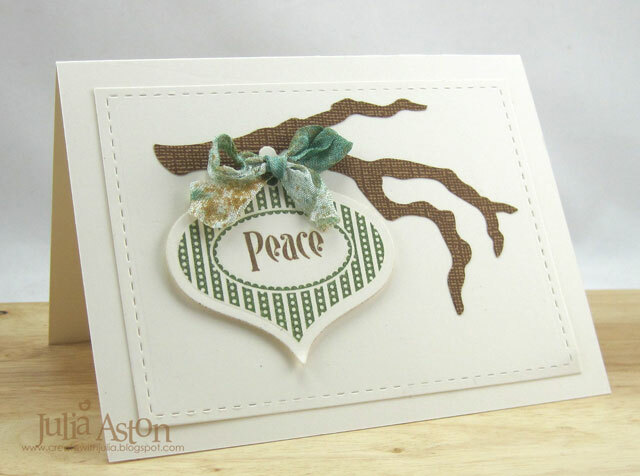 I received the already-died ribbons from Funky Junkie Boutique, who always sends a little envelope of treats (die cuts, charms, buttons) tied with a ribbon, in every order! 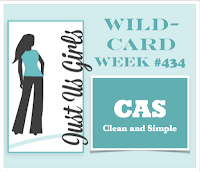 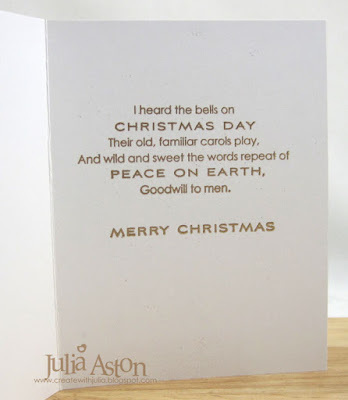 This first card is the most CAS of the four. 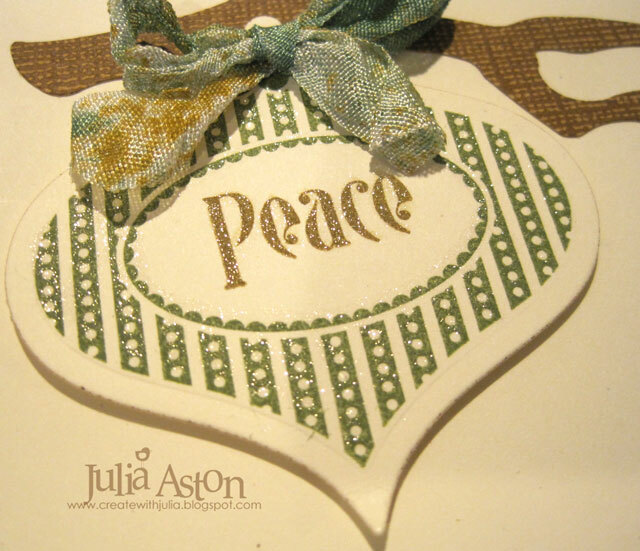 I love the rustic look of the brown and green over the vintage cream card base. 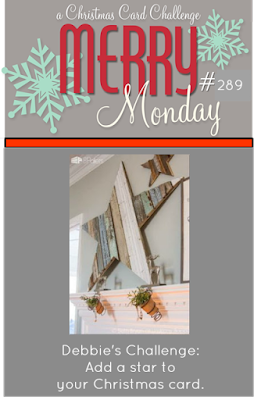 I used a simple stitched edge die for the panel. 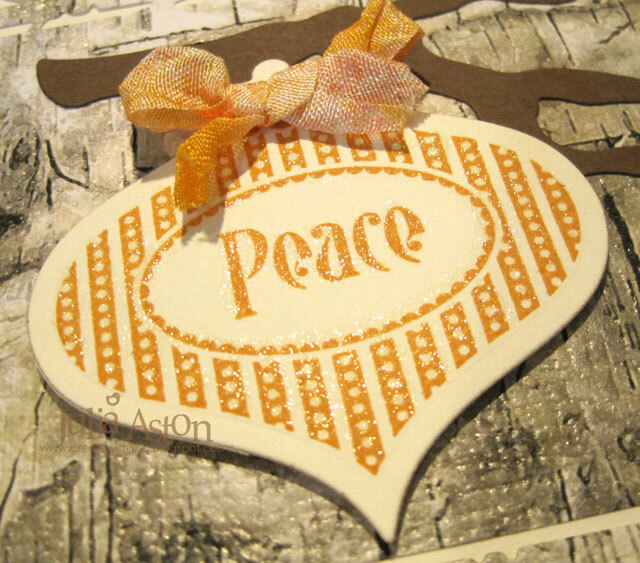 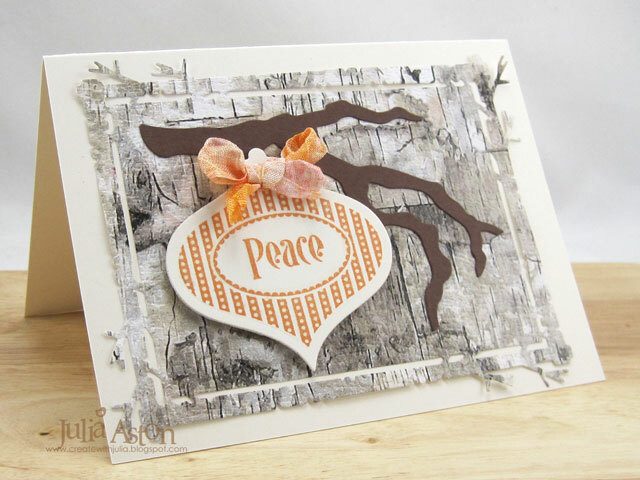 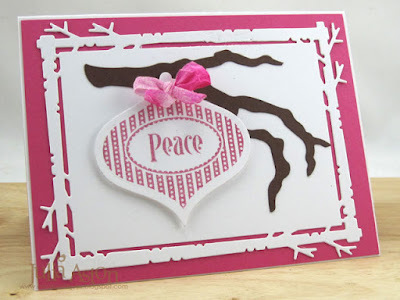 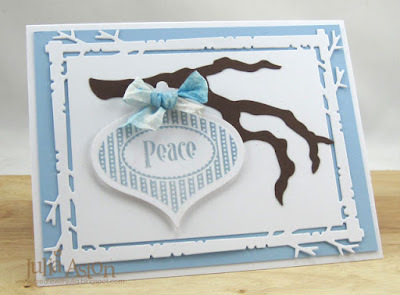 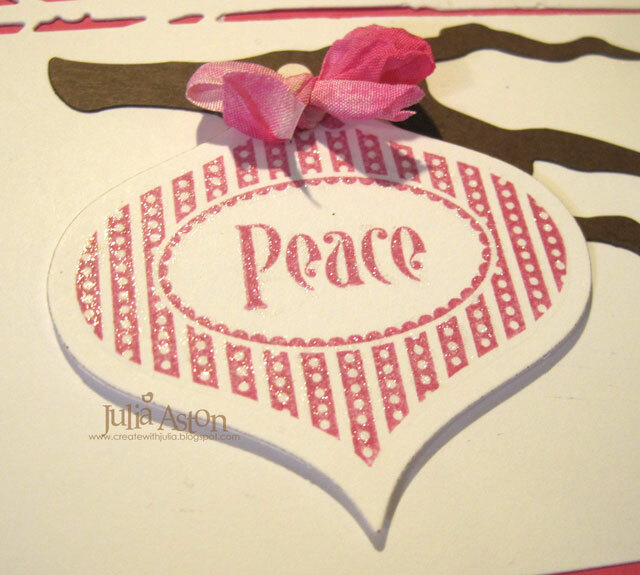 The branch is die cut with Tim Holtz/Sizzix Holly Branch Die. I brushed Clear Glitter Wink of Stella on the colored parts of all the ornaments as well. 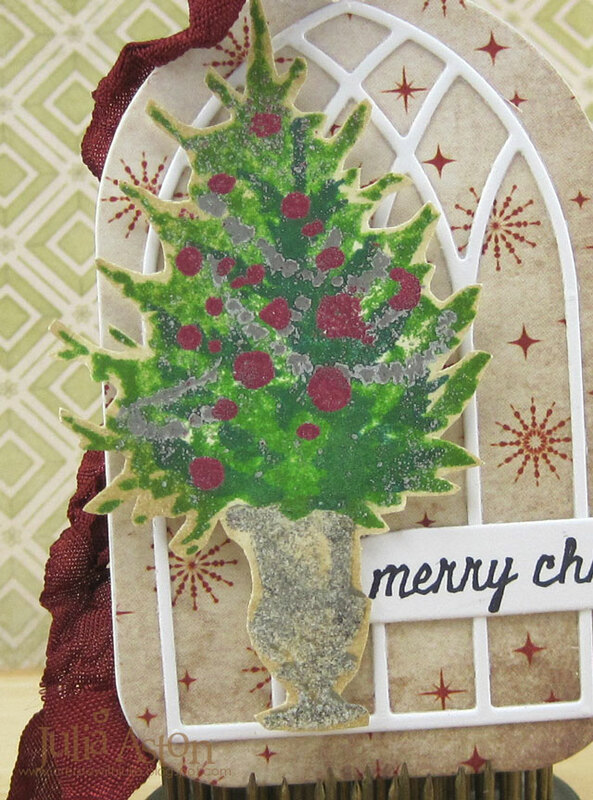 For my 2nd and 3rd cards, I used the Papertrey Ink's Mix and Mat Plaid Die for my panels layered onto a coordinated color panel. 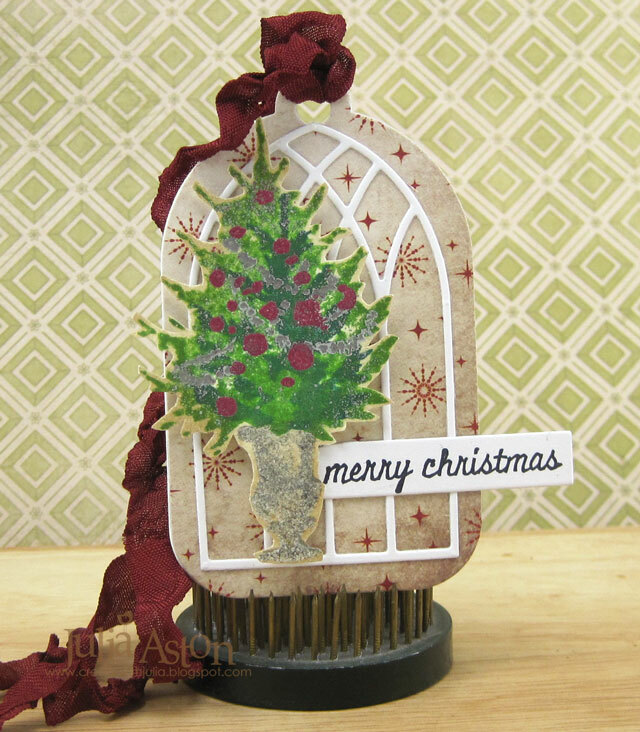 And for my 4th card I die cut the panel out of birchwood wrapping paper that I got from Pier One Imports last Christmas season. Paper: Vintage Cream, White, Spring Rain, Cocoa Bean, Raspberry Fizz - PTI, Color Core Coredinations, Birch Wrapping Paper - Pier One Imports. Accessories: 2011 Heirloom Ornament Dies - Nestabilities, Holly Branch die - Tim Holtz/Sizzix, Stitched Mat Rectangle Die - Lil Inkers Design, Crinkle Ribbon - Idea-ology, Clear Glitter Wink of Stella, foam dots, Tombow Glue. 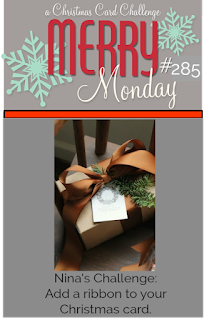 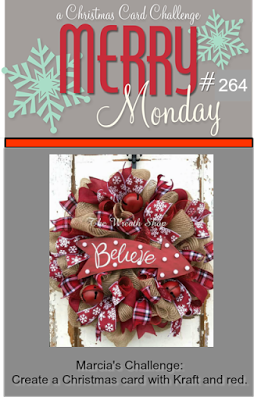 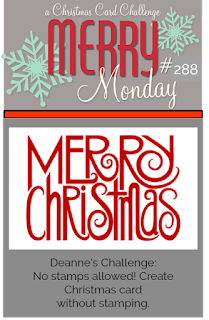 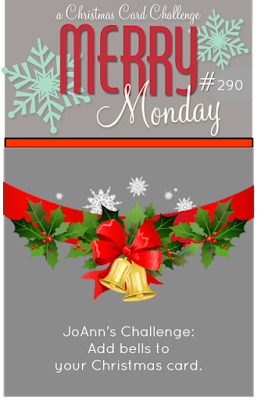 I'm playing along with the Merry Monday Challenge today! I also had the perfect sentiment from a newly purchased set from Papertrey Ink - Quoted: Favorite Things. 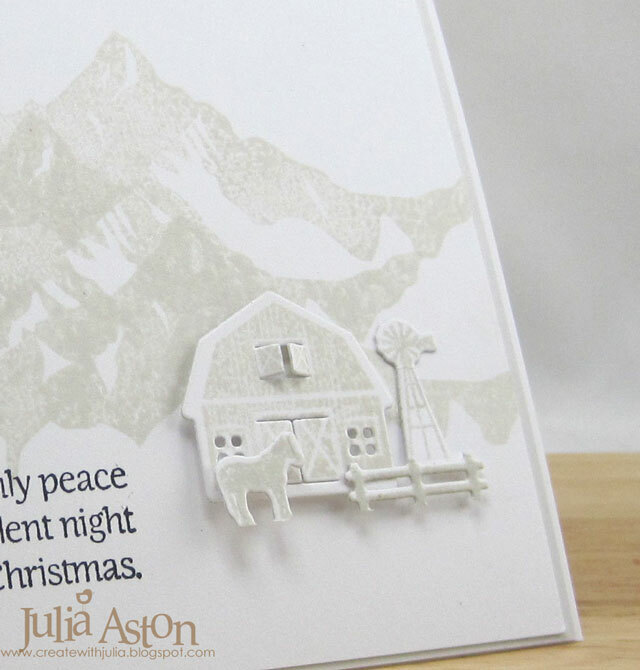 (this mini set only costs $5.00!). 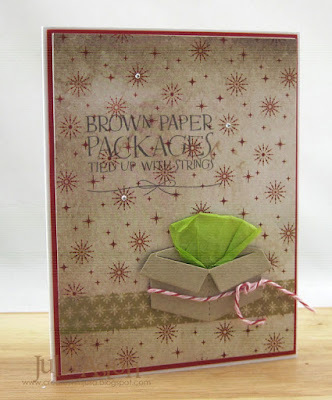 I cut a little square of green tissue paper, folded it up a bit and slipped it into the top piece of the box and tied a piece of Peppermint Twine around the bottom section. 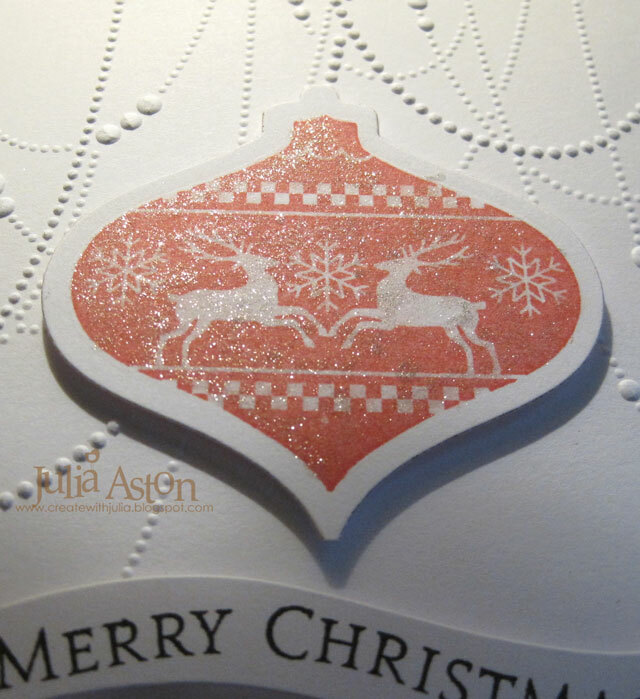 I grounded the box on a strip of washi tape and added 3 clear rhinestones to 3 snowflakes on the DP. And now, I'm singing the song - are you??!! 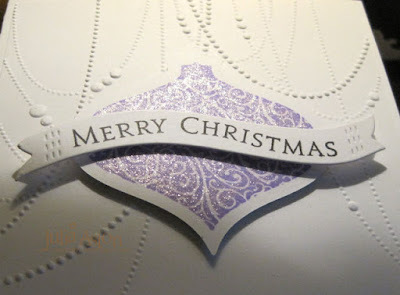 The rest of the line is stamped on the inside of my card! 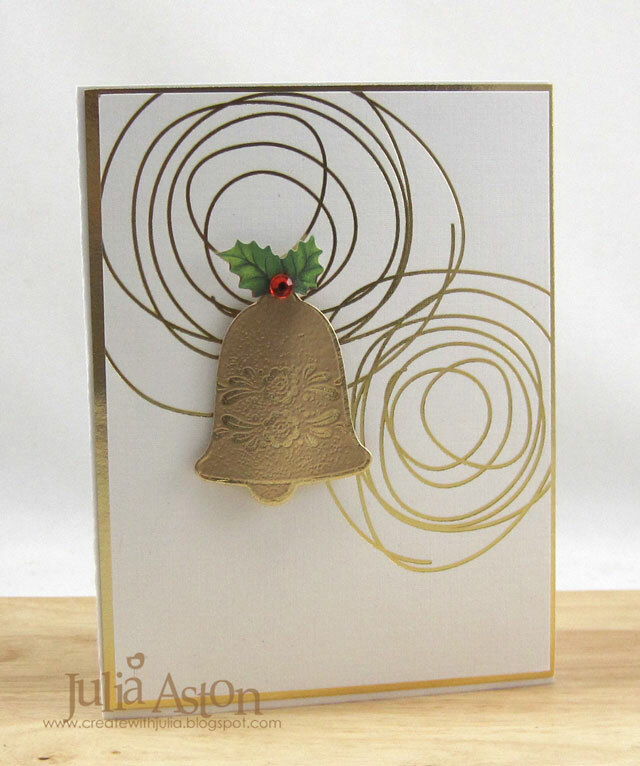 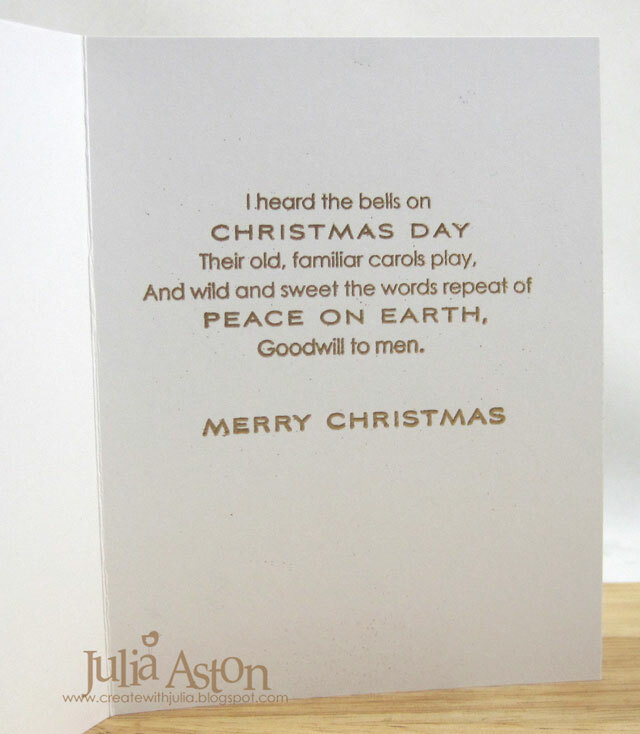 Have you got all your Christmas cards done yet? 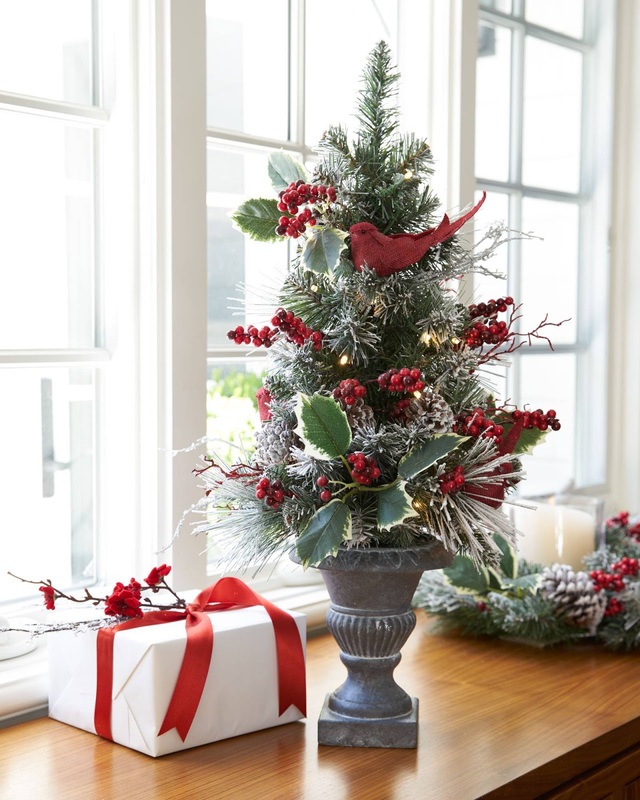 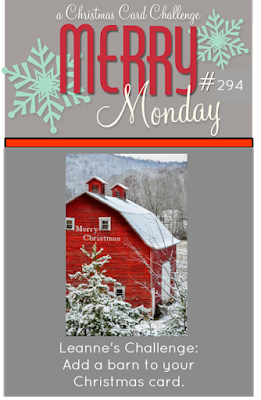 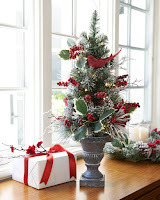 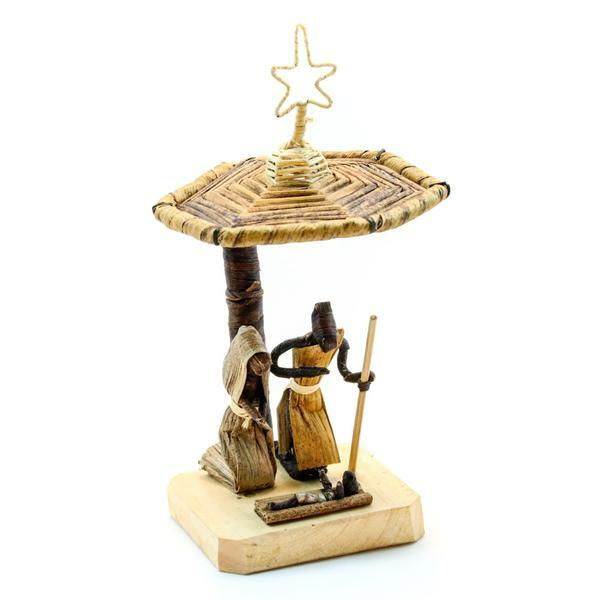 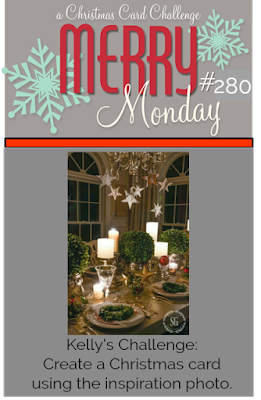 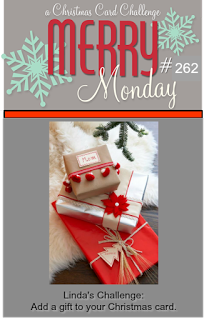 Check out Merry Monday! Papers: White, Pure Poppy, Kraft - PTI, DP - PaperStash/Tidings - Tim Holtz/Idea-ology, green tissue paper. 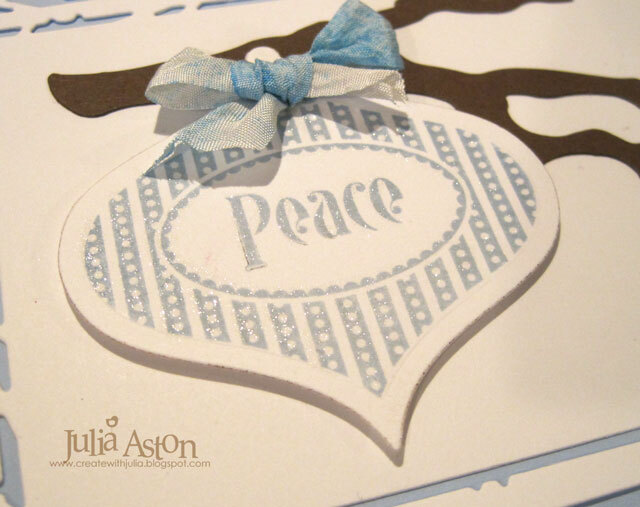 Accessories: washi tape - Lawn Fawn, peppermint twine - The Cat's Pajamas, foam dots, clear rhinestones - JoAnn.